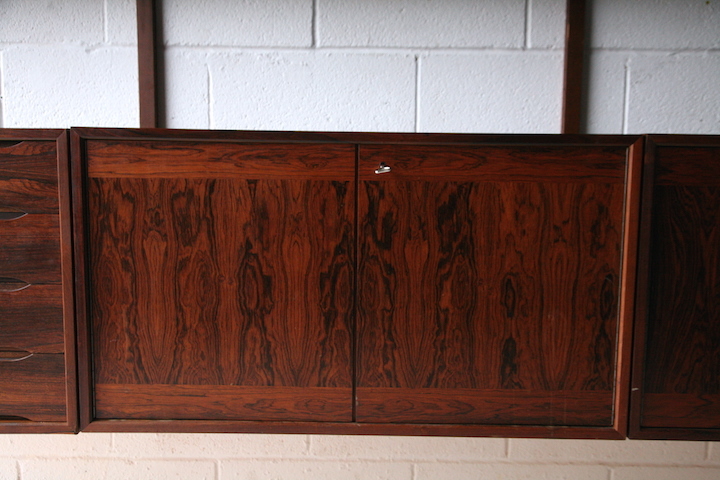 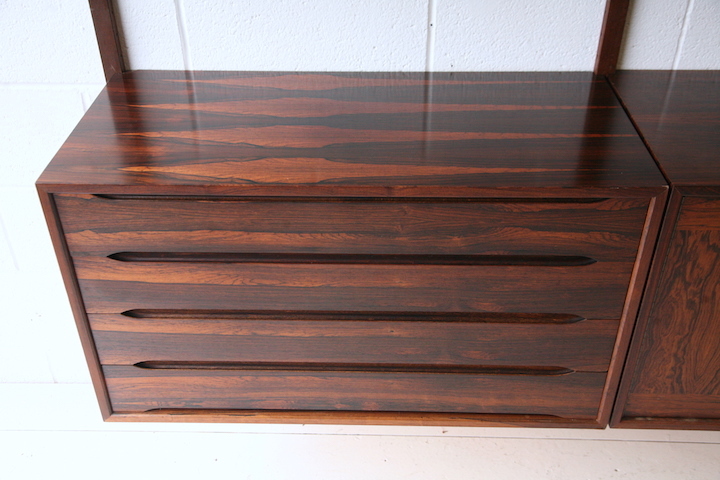 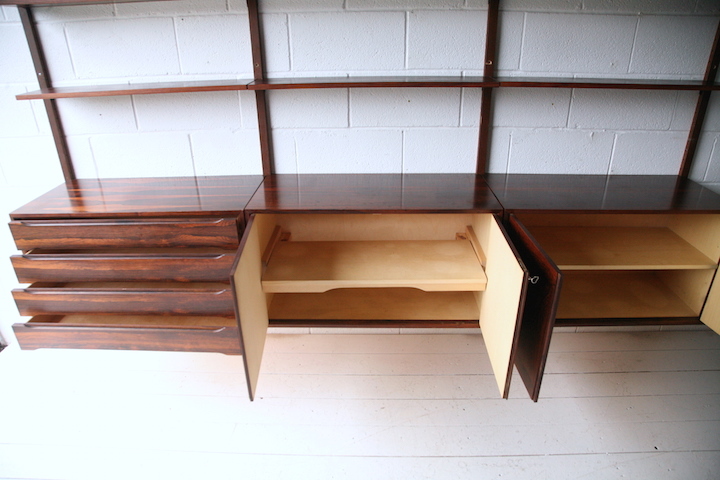 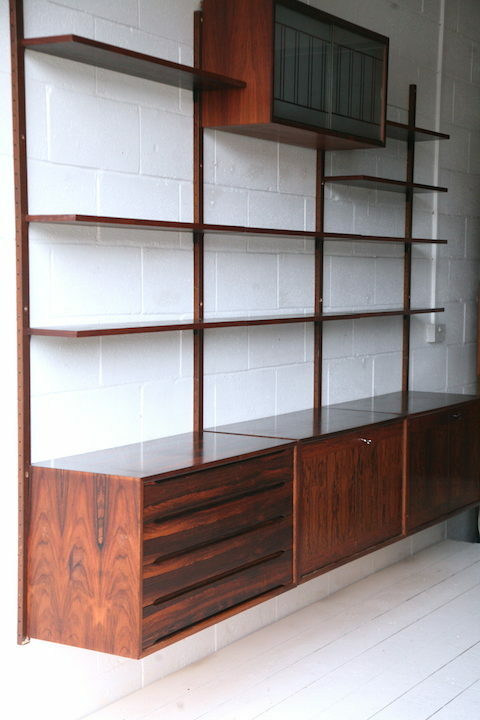 A beautiful 1960s Danish rosewood shelving unit. 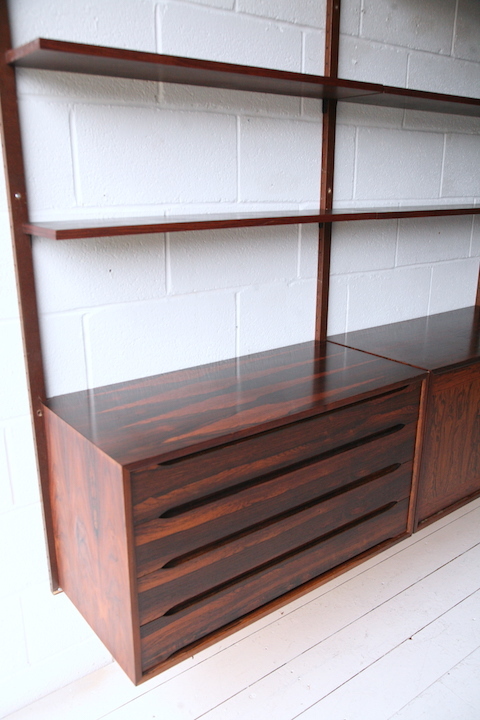 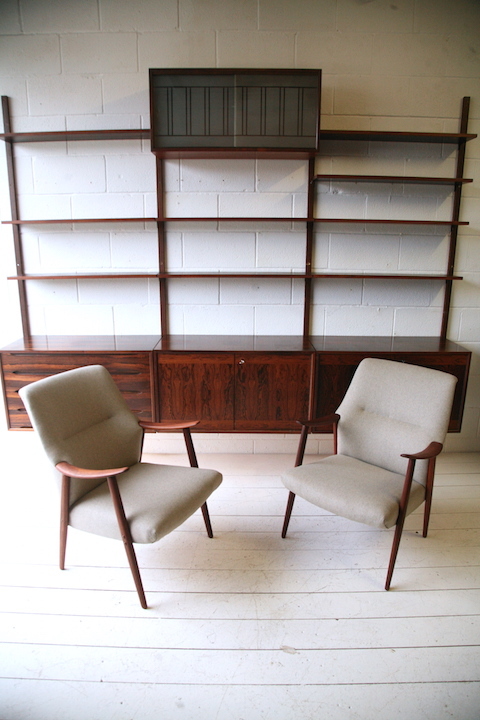 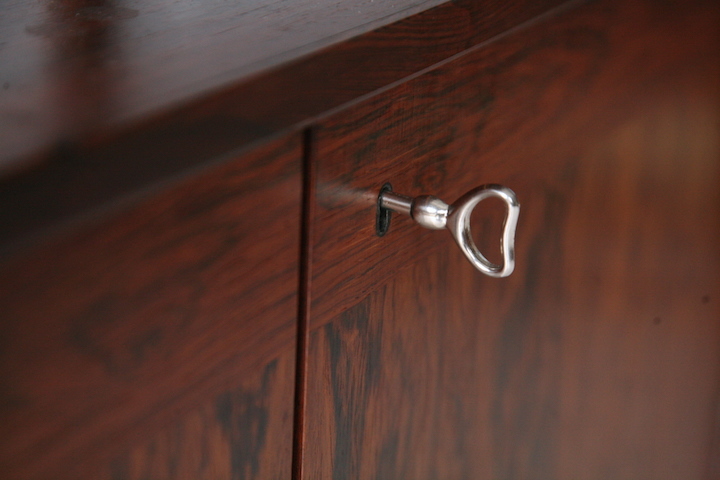 A high quality piece of Danish furniture with gorgeous rosewood grain. 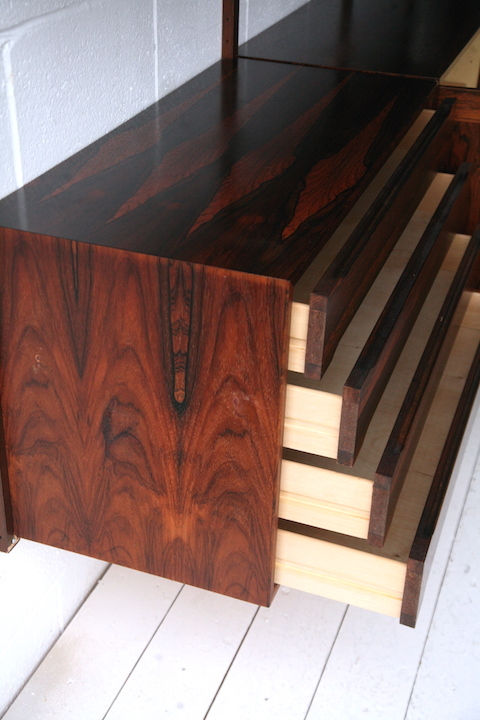 Consisting of 2 lockable cabinets, a chest of 4 drawers, a glass cabinet, 4 uprights and 9 shelves. 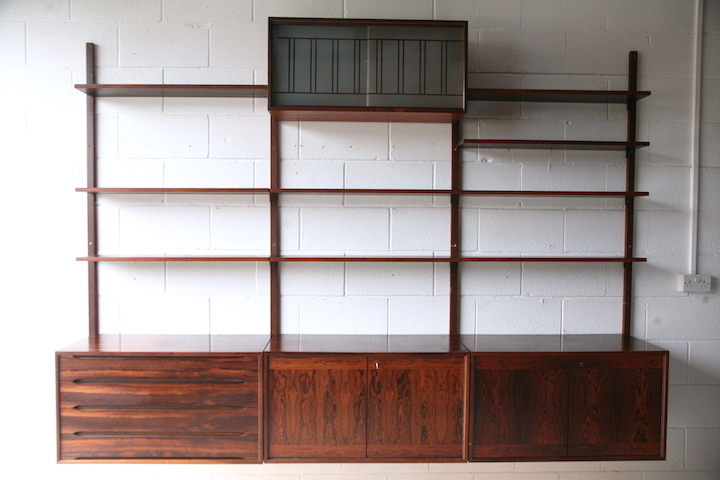 In very good vintage condition with some age related wear and signs of use.